According to the New York Federal Reserve, at the close of the year 2016, student debt had risen to $1.3 trillion with over 44 million borrowers in the U.S. Although college enrollment has increased, the student debt crisis has prompted many to question whether receiving a college degree is worth being shackled to life-long debt. In 2015, the National Center of Education Statistics reported that the average total cost a 4-year private college was $41,970 per student, per year. Public 4-year institutions averaged a total of $16,188 a year for a full time student. For many students the only way to enroll in college is to rack up various loans to finance everything from their tuition to housing to equipment. Putting oneself through college has become a challenge for many, even the most ambitious students. Students that come from low income families are often deterred by the cost of a college education. For many, scholarships are the only means of acquiring additional funds to finance their education. It is still, however, a misconception that scholarships are only awarded to those with high GPAs and athletic prowess. Many organizations, startups and centers have sprouted with a mission of providing students with resources to support them in securing scholarships. There has also been a rise in the development of apps and websites that seek to close the opportunity gap. These apps utilize their user-friendly platform to broadcast scholarship opportunities to students right on their cellphones. These apps place millions of scholarship dollars right at the fingertips of its consumers. One app in particular that stands out is Scholly. Scholly was founded by Christopher Gray, a Drexel graduate, who won over $1.3 million in scholarships to fund his entire undergraduate career. The app acts as a easily accessible directory for tons of scholarships that students can easily match to their skills, interests and backgrounds. Scholly’s mission is “opportunity for all” and uses its app to achieve its vision of “helping all students achieve their potential”. 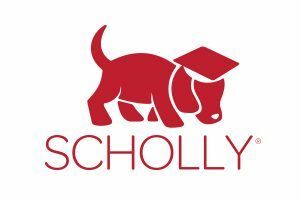 Scholly is in the process of partnering with major universities (NYU and others) around the country to offer this app free of charge to students so that they may be able to easily access scholarships. Thanks to the leadership of Senator Vincent Hughes and his colleague and Cheyney Foundation Board member, Tiffany Wilson, The Cheyney Foundation was able to obtain a $5,000 grant through the state, to buy the Scholly app for all of its students. The Cheyney Foundation has been supporting Cheyney University since 1971. As an organization, we have given over $2.4 million to support the advancement of the university over the past 46 years. As we move into our next fiscal year, we are interested in supporting more students and closing the opportunity gap by providing scholarships to students. Are you interested in joining us in support of Cheyney students? Feel free to contact us at info@cheyneyfoundation.org or feel free to donate to our Cheyney 180 Challenge https://www.cheyneyfoundation.org/about-us/cheyney180challenge/ today!